Who has seen the red tractor? Where are the clucking hens hiding? Can you find the wheelbarrow full of delicious apples? 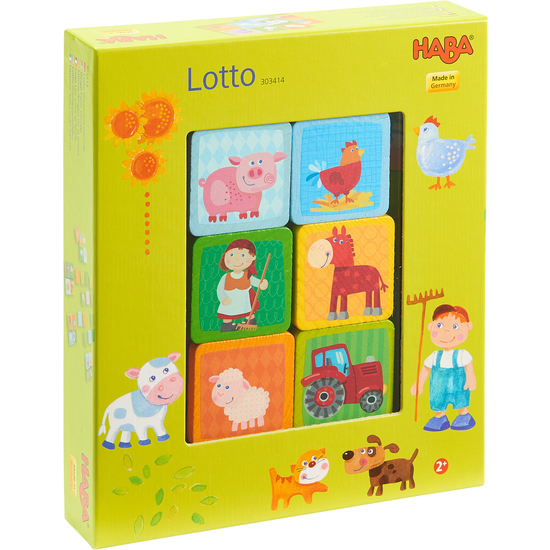 With a little luck, children will quickly find the wooden tiles and place them on their bingo cards. The first to fill their bingo card wins this amusing Farm friends bingo! Contents: 6 bingo cards, 24 wooden tiles.